Update (4 June): The Agenda has been revised and the updated agenda is here but it does not yet contain the actual texts to be introduced at the Synod. The timetable for Sunday is the same as in the original agenda. At the moment the papers pertaining to this liturgical business are not available. We’ll add details when this is published. As reported on the main TA blog the House of Bishops of the Church of England met at Bishopthorpe Palace in York on Monday and Tuesday. The House of Bishops received a report from the Liturgical Commission on the use of additional texts for use in services of Baptism following the piloting of new materials in parishes. The House heard that the feedback from the parishes to the use of the texts had been largely positive and welcoming. Following a debate and minor amendments to the text the House voted for the new texts to progress to being debated by General Synod. This is the normal route for any material which comes under the terms of the Worship and Doctrine Measure 1974, i.e., any material which is alternative to text in the 1662 Book of Common Prayer — any draft is first reviewed by the House of Bishops, and only when agreed by that House is it introduced into the General Synod. Today the Church of England commemorates the deacon Alcuin who rose to high office in the court of Charlemagne, and who is particularly remembered in the Church for his liturgical work. The Alcuin Club was founded in 1897, to promote and publish liturgical scholarship. Alcuin was descended from a noble Northumbrian family. Although the date and place of his birth are not known, he was probably born in the year 735 in or near York. He entered the cathedral school there as a child, continued as a Scholar and became Master. In 781, he went to Aachen as adviser to Charlemagne on religious and educational matters and as Master of the Palace School, where he established an important library. Although not a monk and in deacon’s orders, in 796 he became Abbot of Tours, where he died in the year 804. Alcuin wrote poetry, revised the lectionary, compiled a sacramentary and was involved in other significant liturgical work. Paul F. Bradshaw Rites of Ordination: Their History and Theology London: SPCK, 2014 ISBN 978-0-281-07157-9. pp. ix + 218. £19.99 pbk. What does it mean to be ordained as a minister? This question stands in large print on the back cover of Paul Bradshaw’s excellent book. If it attracts those hoping to find vocational direction or insight into ministerial identity, they will be surprised by the contents. Bradshaw is not uninterested in these matters as they are expressed in ordination rites, but they are not at the centre of his study. With an enviable combination of profundity and economy, he has produced a survey of eastern and western rites of ordination that stretches from the practices of the earliest Christian communities to the present day. This approach makes it possible to show what elements have been essential, which biblical images have been sustained in the language and theology of ordination, how relationships between orders have been understood, how the role of the laity has been acknowledged or eclipsed, and how candidates have been chosen. The first three chapters, which deal with typology of ministry, ministry in the earliest Christian communities, and ministry in the earliest ordination rites are particularly helpful in setting the scene for what is to come. Bradshaw is the sort of historian who makes the evidence of his workings exciting. As his exploration moves to the rites themselves, we learn a good deal about how to establish a likely ‘original’ text by comparing versions of it in different near-contemporary documents, or by sifting out common features of later rites which must have come from a shared source. The account of the East takes up one chapter to five which might be defined as preoccupied with the West. This does not necessarily mean that the origins of the Eastern rites of ordination are more straightforward: only that they stabilised whereas patterns in the West continued to change. Thus it was not too long before bishops began to be appointed by the Pope and not by the popular acclaim of the local community. Rites converged as the Church grew and spread. The ordination services which result from the meeting of Roman and Gallican traditions become far more elaborate than the individual streams which have come together. At the same time, there was a move away from local acclaim, relationship to place (the idea of a title), and the involvement in the laity in the choice and ordination of ministers. What increased was an emphasis on the sacrificial priesthood, to the exclusion of other aspects of this order, like shepherd and prophet. This attracted the criticism of the Reformers, beginning with John Wycliffe and trenchantly uttered by Luther and Calvin. Once again the question of what clergy were for, and how they differed from the laity, was at stake. These are questions that the Churches, including the Church of Rome, have gone on asking – although it was not until 1990 that Rome had an ordination rite significantly different from the first printed pontifical of 1485. There is now considerable convergence on many of the desirable characteristics named by the World Council of Churches document, Baptism, Eucharist and Ministry (1982). But Bradshaw gives us a picture of work still very much in progress. Churches continue to ponder how to accommodate the laying on of hands in the ordination prayer without splitting it into three. They go on seeking ways to allow the voice of the laity to be heard in the rite and to represent local communities where ordination is celebrated in central locations. They keep trying out secondary symbolism to accompany the laying on of hands and prayer for the work of the Holy Spirit. No Church seems as yet to have got this quite right, and part of Bradshaw’s achievement is in showing how choreography can assist in solving certain problems. There is plenty of material here to guide practice, and to root it historically without allowing any irresponsible and badly-informed appeals to the Early Church. It is unlikely that any Church will embark on the revision of its ordination rites in future without first studying this book. Today the Church of England commemorates Gregory Dix, whose name was added to the Calendar in 2010. Born in 1901, George Dix was educated at Westminster School and Merton College, Oxford. After ordination to a Fellowship at Keble College, Oxford, he taught history before entering the novitiate of the Benedictine community at Pershore, taking the name Gregory. Shortly afterwards the community moved to Nashdom in Buckinghamshire, where Dix eventually made his life profession and was appointed Prior. Dix was one of the most influential figures of a generation of Anglo-Catholics who worked enthusiastically towards reunion with Rome. A gifted and popular preacher and spiritual director, Dix is best remembered as a liturgical scholar whose monumental work, The Shape of the Liturgy, has had an unparalleled influence over liturgical study and revision since it was first published in 1945. He died on this day in 1952. We plan to include occasional anniversaries of significant liturgical events or people. Text of this entry is from Exciting Holiness and is reproduced by permission of the editor. Benjamin Gordon-Taylor and Juliette Day The Study of Liturgy and Worship London: SPCK, 2013 ISBN 978-0-281-06909-5. pp.272. £25.00 pbk. Back in the day when ‘Liturgy’ was Dix and ‘Worship’ was Underhill, ‘Study’ tended to focus on detailed analysis of increasingly narrow topics. When those who studied liturgy had been nurtured on a Tridentine Mass or a Prayer Book Communion service, much could be taken for granted. Ruth Meyers in the following chapter reminds us of the place of worship in forming people for Mission, and building a ‘Mission-Shaped Church’. Philip Tovey’s chapter on Culture reminds us of how slowly and grudgingly progress has been made. The Second Vatican Council had raised the issue but going beyond vernacular masses (which was a huge step), real change expressive of different cultures has been limited. He also notes that The Anglican Communion, with prayers for ‘us and for all men’ has been slow to adopt inclusive language and produce liturgies for occasions when a significant proportion of communicants are children. ‘Dimensions’ concludes with Myra Blyth’s chapter on Ecumenism. She writes as a Baptist minister who spent many years at the World Council of Churches. Churches have moved from priding themselves on fine distinctions and divisions to heeding Jesus’ prayer that all should be one. The Lima document on Baptism, Eucharist and Ministry was a real milestone. But, Blyth notes, there have been setbacks. She writes, ‘For Margaret Kässmann, former Bishop of Berlin-Brandenberg, the (2003) report and especially the framework for common prayer, represents a backward step on the ecumenical journey. It is “a document of fear which takes great care to establish the boundaries that divide us”’. The inclusion of these themes as equal has produced a well-rounded study. But this has meant that much has had to be abbreviated and the valuable list of further reading at the end of each chapter will need to be accessed in order to explore each topic in more depth. I might have looked for a longer chapter on ‘Eucharist’ but the chapters on ‘Ritual’, on ‘Prayer’ and on ‘Sign and Symbol’ and ‘Word and Sacrament’ provide valuable insights to add to what is found there. The importance of ‘Word’ is also stressed in chapters on liturgical language, and on Proclamation, which can bring us back to noting the importance of a chapter on Ethics. These discrete essays fit together superbly. The richness and diversity of content has meant that the reviewer has found a great deal of importance beyond what might have been expected; essays on Eucharist, Services of the Word, and those which mark membership and rites of passage. The way the book is constructed means that no aspect can be treated in isolation, and the totality of what it offers will make a great contribution to enabling those responsible for worship to make it a transforming and enriching experience. I recently participated in a ‘course’ intended for those considering for the first time questions of spirituality and religion. (I won’t name names, but it probably isn’t a course you’ve heard of.) I wasn’t able to be involved in very many of the sessions, but what struck me was that the content was about me — what I think, what I believe. Maybe that is a good way to try and approach people with little or no experience of Christianity. But it is quite a long way from what Christianity is. Although much is made of what Christians should or should not believe, at its heart Christianity is about what we do. In that phrase both the pronoun and the verb are important: the ‘we’ and the ‘do’. We intend through this blog to explore the ‘we’ and the ‘do’ in the context of liturgy — not because liturgy is necessarily the most important thing that we do, but because it is part of what we do. And we shall consider liturgy in the context of how we as Christians live our lives. That’s a collective thing, as our worship transforms the community in which we belong — and also as our community transforms our worship. We shall consider the view that we are engaged in a public theology, that is, debate and engagement in the public space with those who are inside the Church, those who are on the fringes — and those, if they care to join us, who consider themselves as outside. In taking this view we are following the example of Jesus, for whom public ministry and public theology were at the heart of all that he proclaimed. Living as a public figure, and dying the death of a public criminal, a primary form of his ministry was at the table. For Jesus, this radical table ministry became the means by which he not only preached but also lived and exemplified the kingdom of God. And ultimately — as Robert Karris wrote — ‘Jesus got himself crucified by the way he ate’. It is perhaps paradoxical, at first sight, that the continuation of Jesus’s table ministry lies at the heart of our worship. The Eucharist is in many places an act of great miracle, great symbolism and doctrinal significance, and great personal devotion. Yet when we break bread together at the Eucharist, we are sharing that table fellowship which he began and which has been continued by his followers. Overlaid with other meanings and theologies though it may be, this is central to our liturgical life. Because when we break bread together in this way, we recognize the presence of the risen Christ among us, once again. There are lots of subtleties and theological ideas to consider in among all that — and we intend to look at some of them in this blog — but fundamentally we intend to explore the continuing relevance of that table ministry in the Church today, how it relates to our eucharistic worship, how it relates to our mission to the world, how it meets (or doesn’t meet) people’s spiritual needs and how it relates to the proclamation of the kingdom of God, with its call for mutual reconciliation and for social justice. In addition, liturgy should be worthy of offering to God; and it should inspire and fulfil us, refresh and enthuse us, and help form us and others to live that life in all its fullness which Jesus preached. We will look at all that too. We shall try not to be overly concerned about doctrine and dogma. Doctrine and dogma have their place; but here we want to think about what we say and what we do, and how by saying and doing, both in worship and in life, we proclaim and live where God’s kingdom is at hand. a tolerant, progressive and compassionate Christian spirituality, in which justice is central to the proclamation of the good news of the kingdom of God. Our spirituality must engage with the world, and be consistent with the scientific and philosophical understanding on which our modern world is based. It must address the changes which science and technology have brought into our lives. Implicit in that was a connection between what we do in Church and what we do in the world. We seek to share our food with the hungry, we seek justice for the oppressed and the captive, we seek a new start for all and recognize the wrongs that we and others have done to individuals and groups, as well as to other creatures and the physical world. These things are intimately linked with what we do in Church. We gather around lectern and table to hear and receive the Word of God; we share forgiveness and peace with our neighbours, and eat with them, recognizing the presence of Christ as we do so. We are the body of Christ, not just in Church, but in the world. Our table fellowship is not just a symbolic table fellowship existing only within the confines of the church building; rather, all these things are one. This close relationship was rediscovered both by the Evangelical revival and by the Oxford Movement. It was fundamental to the rise of Christian Socialism and lay at the heart of the Parish Communion movement. And so in this new blog we shall look at the link and explore how our worship can reflect the social justice that we have proclaimed, and at the continuing relevance of this in the second decade of the twenty-first century. 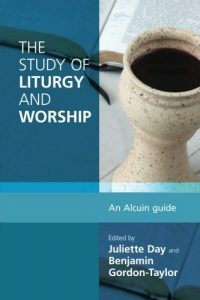 The title ‘Thinking Liturgy’ connects this blog to the parent ‘Thinking Anglicans’ and also indicates the intention to think about liturgy and promote liturgy that is thoughtful. We shall cover a range of liturgical topics and news, and try not to be confined to any particular theological or doctrinal stance or ‘churchmanship’, though our focus will be largely Anglican and English. We shall consider too how our worship, our liturgy, impacts on our mission. We intend to promote and share good liturgical practice, among both laity and clergy, and we shall explore liturgical presidency. We may provide sample material, and news of synodical authorization and commendation. We intend to review books and also services and buildings, and we will cover related blogs and other material on the internet. We expect to have a number of guest contributors and we welcome spirited liturgical discussion.